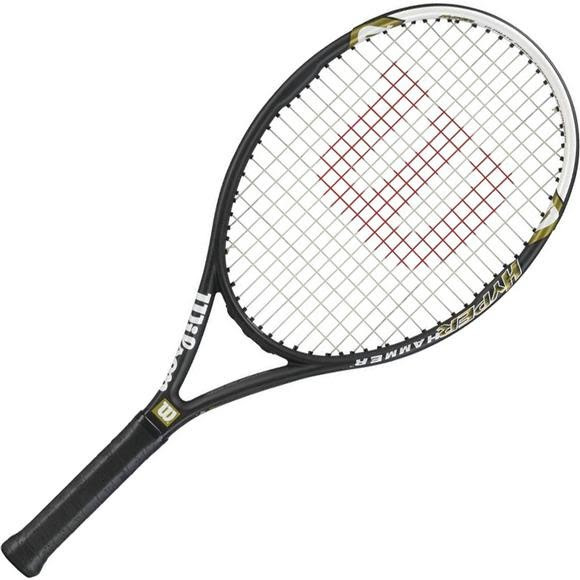 The Wilson Hyper Hammer 5.3 has an oversize frame that delivers explosive power for the recreational adult tennis player. Weight is reduced in the shaft and handle. With today&apos;s racquets getting lighter and lighter, maintaining mass in the head becomes more important than ever. With Hammer Technology, weight is maintained throughout the head of the racquet, resulting in increased stability and more power. This also results in a higher and larger sweet spot.